Genetic Circus Productions is a production company that is focused on Social Political change. 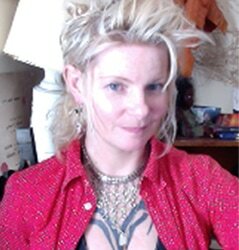 Rochelle is the creative Director of Genetic Circus Productions, producing multidisciplinary work for more than 17 years including sculpture, installation, puppetry and film. In conflict conditions (Timor Leste 2006) she made and translated a series of documentaries broadcast on award winning program PluginTV, Channel 31. Rochelle, Directed and Produced, Empowering Change, Finalist in the Reel Health International Film Festival, screened in cinemas through out Australia. Urban Dreaming, Directed and Produced by Rochelle won Best Woman Filmmaker at the Canadian Diversity Film Festival, best short documentary at ARIFF (Berlin) and AIFF (Auckland, NZ). Urban Dreaming was broadcasted on SBS (NITV) in 2018 and is distributed by ATOM with study guide. She also has been working with Wurundjeri Tribal Council to document cultural business creating a film archive. On another project Rochelle has been working with Wurundjeri women for 2 years on a documentary Wurundjeri Baggarrook. Rochelle is a board member of Women in Film and TV (Victoria). She is the Director and Producer of Anarco Film Festival. Rochelle speaks Tetun (Indigenous meeting language of Timor Leste) has a Masters in International Relations with a specialisation in International Law and Human Rights and a Bachelor of Fine Arts. Rochelle is currently writing a TV series pilot, set in Australia and Timor Leste; in English and Tetun, entitled Witness K and working on several documentaries. CONTACT: If you have a query or comment fill in the form below .